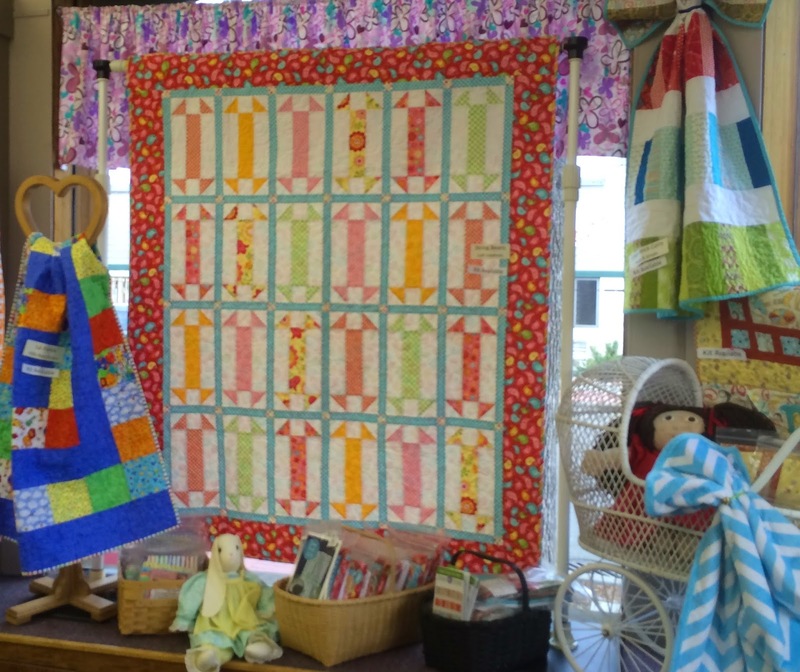 I have a hodge-podge of pictures taken at quilt market a week ago. I didn't take as many pictures as usual. (Sorry!) I will do better next time! 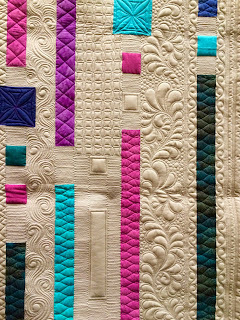 Some interesting "big stitch" hand quilting. I was thinking of my Slow Sew group when I saw this. 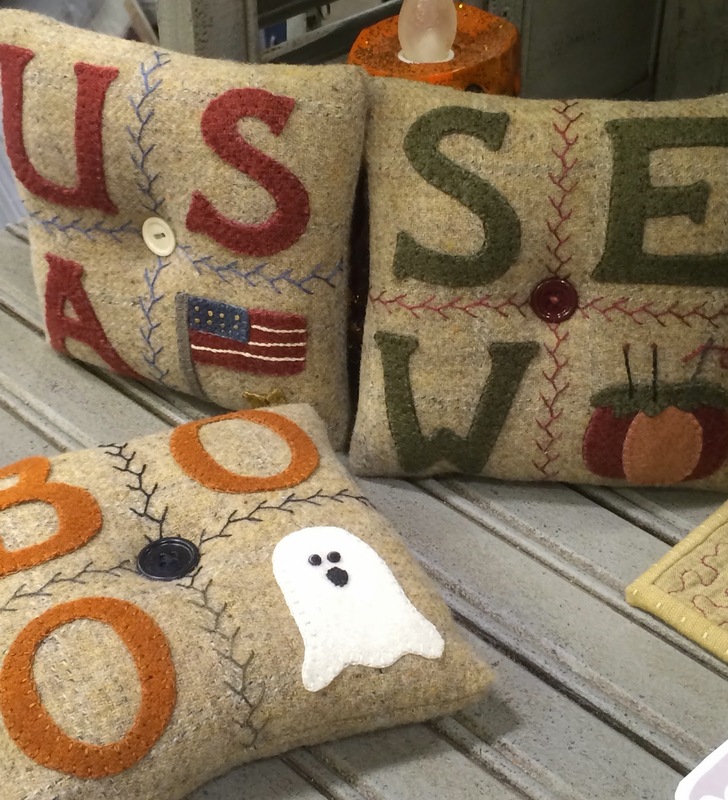 One of our long-time favorites, Stitchin' Sisters, with a couple new patterns. Making good use of plastic screen and tape measures! Watch for a class on how to use these hardware store staples in your next sewing project! 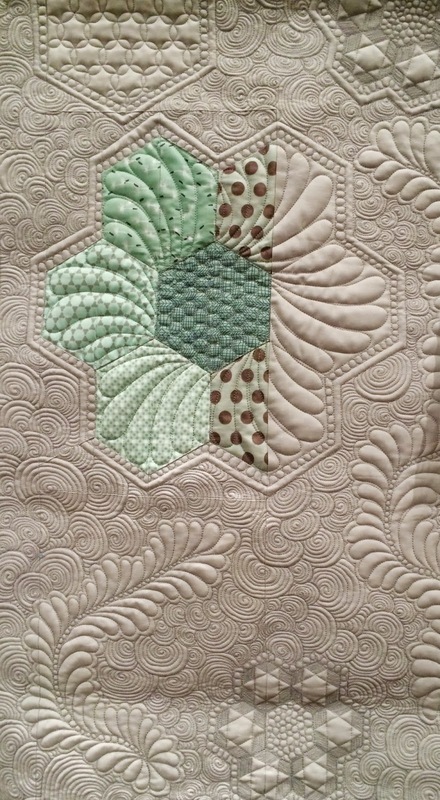 Some quilting that caught my eye, which might end up in a quilt of my own. It seemed pretty easy and forgiving, 2 key features of a good quilting design! Ordering fabric at Moda can be a bit overwhelming. 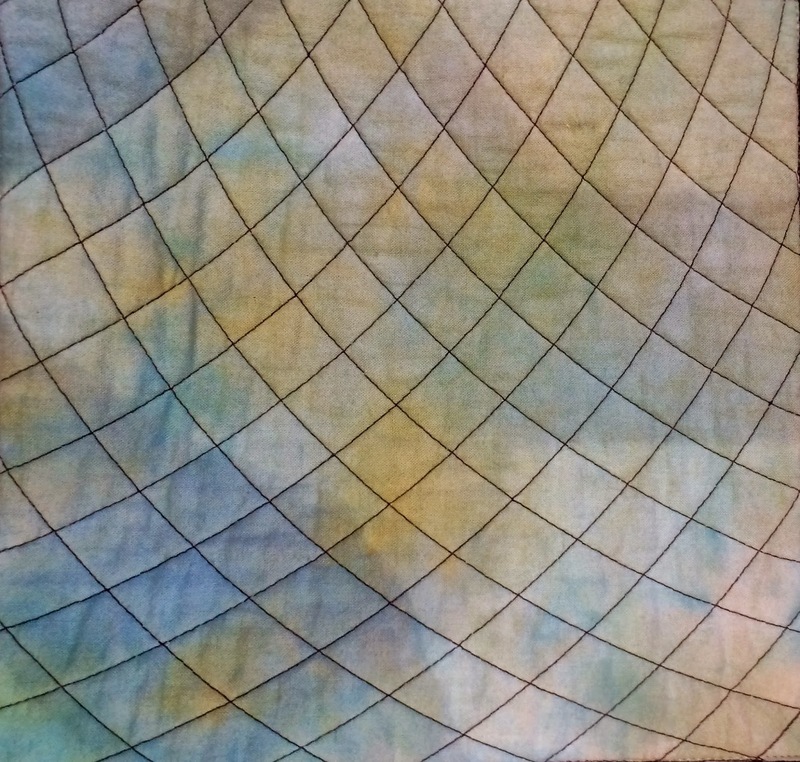 The 2 pictures below show some samples of some of the fabric we ordered for the store. Yup, I'm in Iowa! Where if you build it, they will come! 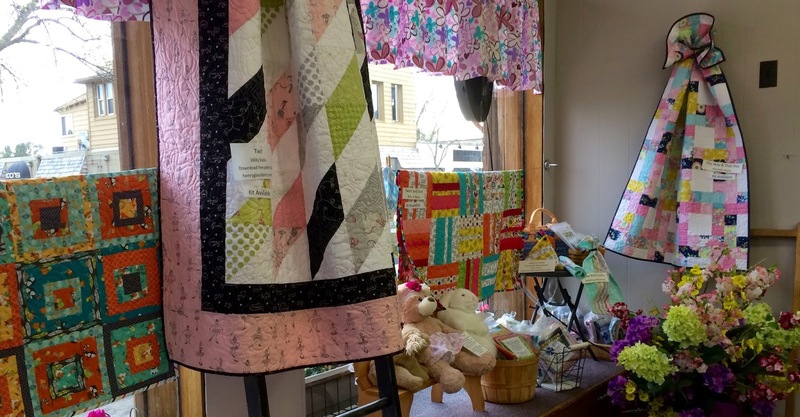 Well, a lot of people came to Cedar Rapids yesterday and today for the Machine Quilters Showcase presented by the IMQA (International Machine Quilters Association). I came for 2 days of classes on a variety of topics. 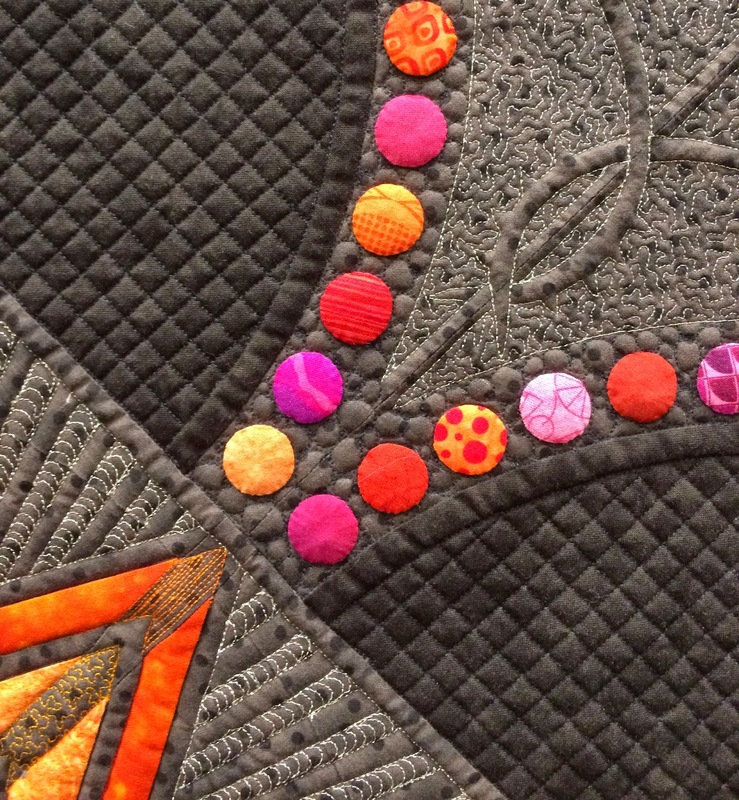 Some of my sessions are about specialty rulers, quilt photography, and specifics of quilting for shows. That last class was taught by Gina Perkes, someone I have heard of and read about for quite awhile. Last week she won a $12,000 prize at the Paducah Quilt Festival for her artistic work, so she knows what she is talking about! One of the rulers that I have been interested in is an arc shape, and it is used to make this type of cross-hatching in an area. I think it is fascinating to see the way that the diamonds morph into different shapes as the curves progress across the area. This is one I want to learn. 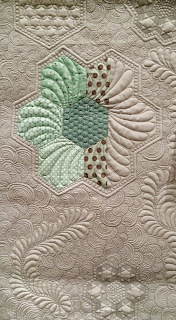 There is also a good sized show of quilts, and I took quite a few pictures of things that caught my eye. I hope they will provide some inspiration in the future. These are not things that I would ever copy, but ideas that might find their way into something I do in another way. 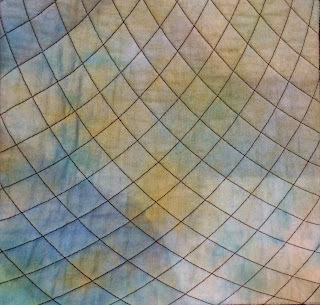 This is a very small section of a larger quilt, about an 8" square. The intricacy kind of boggles my mind! The 2 pictures below presented some very good examples of applying quilting designs to open spaces. This is found frequently in the "modern quilting movement", and although it's very, very different than traditional quilt blocks, it's another variation of the quilting arts. Some more classes tomorrow, and checking back on the show quilts to see what prizes were awarded in the judging, then heading back north. 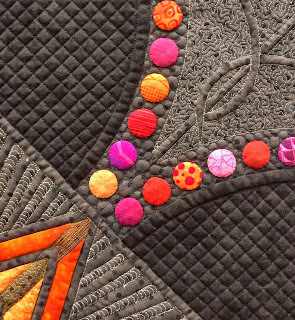 More fun coming up in the next few days as we attend Quilt Market in Minneapolis. I hope to take some pictures and share them here with you as soon as I can. So stay tuned! We have spruced up a lot of things at the store within the last week, hanging dozens of new samples on display. 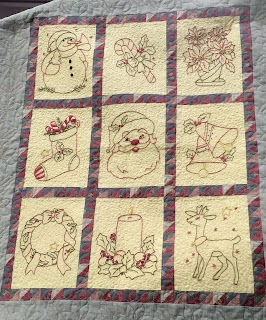 Many of them were new class quilts, which I will compile into another post real soon. 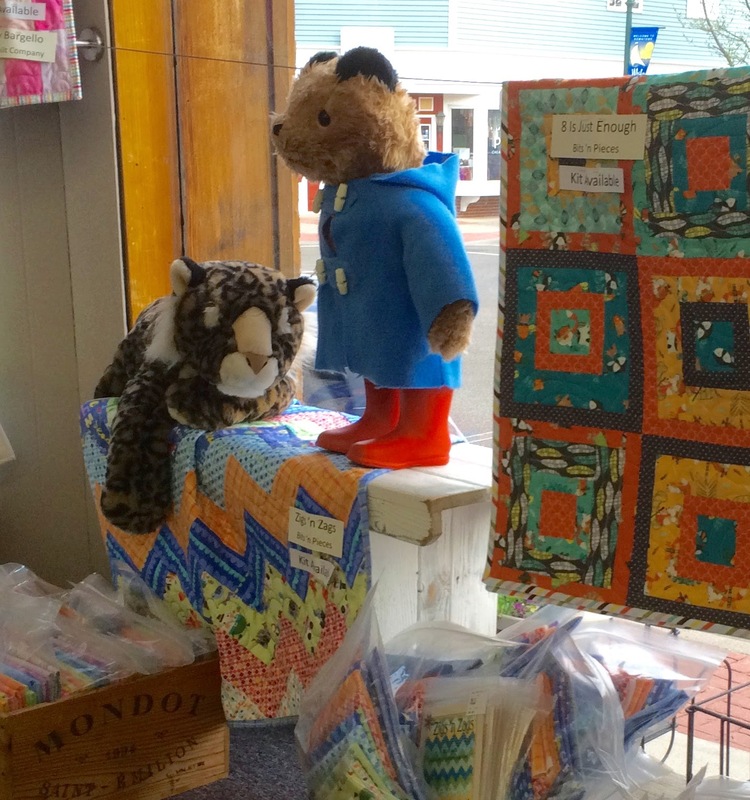 What I am showing today are the lovely baby and child quilts that our employees have made to entice and inspire you! If I count correctly, there are 13 samples of an assortment of patterns. Most of them also have kits available using the same fabric that was used in our sample. We even have Paddington Bear on hand to watch over it all! PS-- we really do have a great team of ladies who work together very well! 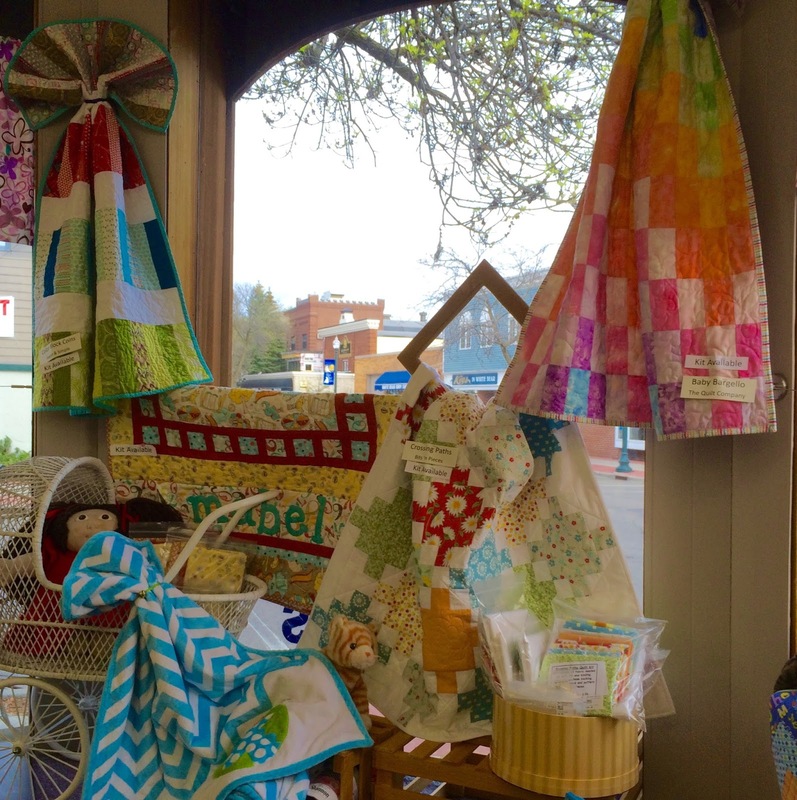 It takes a village to make a quilt shop successful!